Cruises to China are becoming more and more popular, with most cruise ships making stops at Tianjin Port or Shanghai Port. And while cruises are an excellent way to visit multiple destinations without the normal hassles of international travel, being left to your own devices in a huge metropolis like Beijing or Shanghai might seem a little overwhelming. Here at the China Guide, we know the prospect of exploring these giant cities on your own in just a day or two can seem daunting. You might be wondering which attractions to prioritize and how to get to them. We’re pros at designing custom itineraries for these types of situations, and we can help you plan the perfect one- or two-day excursion from one of China’s major ports. 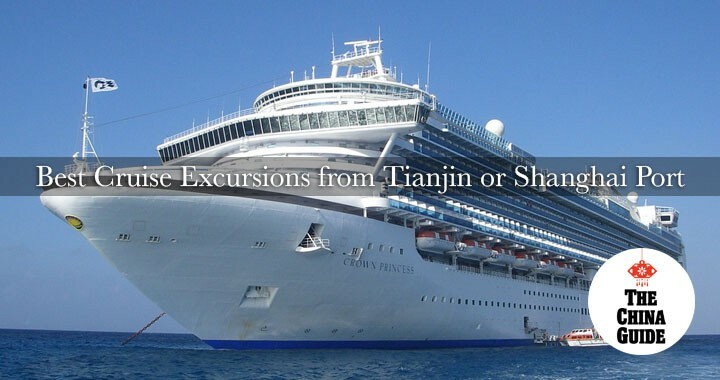 Some of our favorite itineraries for incoming cruise passengers at Tianjin Port include our two-day Beijing tour from Tianjin Port, our Beijing and Great Wall one-day tour, our Beijing one-day tour, and our Beijing two-day tour, which include visits to the sights listed below, and more! All of our tours can be customized, of course, so we’re happy to make a brand new itinerary just for you in case our standard itineraries don’t quite fit the bill. The Tianjin Port is just an hour away from the Chinese capital, giving you the perfect opportunity to explore Beijing’s best attractions, and the most popular by far is the historic imperial complex of the Forbidden City. The immense halls and palaces of the Forbidden City served as the residence of the emperor and the seat of government for more than 400 years and, as such, are full of historical and cultural significance. This unforgettable and world-famous UNESCO World Heritage Site can be reached in just a couple hours from Tianjin Port and is usually at the top of the list for visitors to Beijing. Located just across the street, a visit to the iconic Tiananmen Square is easy to fit in before exploring the Forbidden City. Beijing is also fortunate enough to be situated close to China’s most famous attraction, the Great Wall, and no tour itinerary in the capital is complete without a visit to this amazing structure. With a history of hundreds of years and a total length of more than 5,000 miles, the Great Wall is a historical and architectural marvel and a must-see for any traveler to Beijing. We like to take guests to the Mutianyu section of the Great Wall, which is just a 1-2 hour drive from central Beijing. This section offers incredible views of the Wall and the surrounding countryside without the crowds that the Badaling section is notorious for. The Temple of Heaven comprises one of the largest temple complexes in China and is famous for its dazzling architecture, including the unique round shape of its main hall. This attraction is also known for its rich history; the Temple of Heaven is where the emperor once held a yearly ritual to pray to the heavens for a good harvest. The Temple of Heaven’s buildings sit in the heart of a serene park, where locals can be seen practicing tai chi, flying kites, playing mahjong, and more. It’s one of Beijing’s top attractions and a great place to see multiple facets of Chinese culture, both old and new, on display. Some of our favorite itineraries for incoming cruise passengers at Shanghai Port include our Shanghai one-day tour and our Shanghai two-day tour, both of which include visits to all the sights mentioned below, and more! If you’d like to skip Shanghai in favor of something a little quieter and more traditional, you can also try our one-day Suzhou and Tongli Water Town tour or our one-day Hangzhou tour. If you want the best of both worlds, or something totally unique, we can always make a custom itinerary just for you! Visitors to Shanghai flock to The Bund for its historic, European-style architecture and its unbeatable views of the city’s iconic, ultramodern skyline. This riverside promenade in the heart of Shanghai is lined with old colonial buildings from the city’s time as an international settlement that lend the area a sense of history and charm. Across the river lies Pudong New Area, where skyscrapers extend as far as the eye can see. If you’re not yet tired of cruises, the Huangpu River Cruise is an enjoyable way to view the unique architecture on both sides of the river. Shanghai’s one-of-a-kind history of international influence is on full display in the neighborhood known as the Former French Concession. Here, you’ll find peaceful tree-lined avenues, charming boutiques, and European-inspired open-air restaurants. Our favorite section of the French Concession is Tianzifang, where winding alleyways are dotted with quirky shops, local art galleries, and coffee shops. Central Shanghai is also home to one of China’s most beautiful Ming-era gardens. Yuyuan Garden, also known as Yu Garden, is an exquisitely designed imperial garden originally constructed more than 400 years ago. Today, the gardens are sandwiched between high-rise buildings, a peaceful oasis amid the hustle and bustle of China’s biggest city. Shanghai, Beijing, and Tianjin all offer a 144-hour visa exemption for passengers in transit, provided they have confirmed travel to a third country. Cruise passengers arriving in Shanghai can stay in China for 15 days visa-free, as long as they leave on the same cruise ship they arrived on. This visa exemption only applies to those traveling in groups of at least two people with a registered travel agency. You can read more about Chinese visa requirements here.